I’m so excited to share with you this podcast because I think Mo and I are kindred spirits. Her story, although different, has a lot of similarity to mine. I appreciate someone who is willing to take risks to live a life worth living for. Mo was on a very different path as former New Yorker and took a huge leap of faith to follow her heart and do something we all dream of doing. How many times have we sat at a beach and wondered, “how can we make this my office?” Meanwhile, she figured out how. I may not be living on a beach, but I followed my heart to stop the path I was on and will soon be living in a different country. I’m uprooting everything I know to start fresh in my 30’s and she has done the same! Take a listen. Living an unconventional life - Mo shares with us her big dreams of working in the prison systems of New York City to then dropping it all to live a life in a bathing suit on the beaches of Bali. Taking risks in your 30’s. At a time when people are settling down, moving up in the workforce, getting married, having kids, and buying homes, Mo shares how she decided to then take risks and drop it all to travel solo for the first time. Creating your dream life. 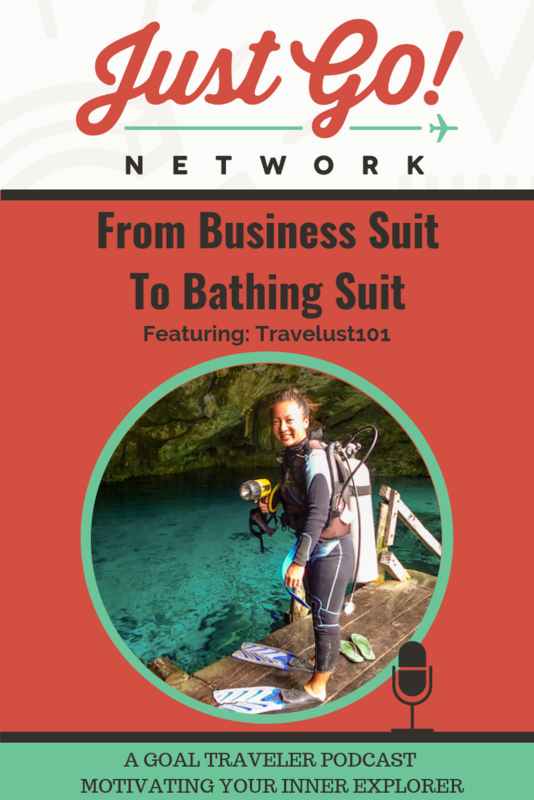 Mo had a vision that the beach could be her everyday office and she shares with us how she made that vision a reality by becoming a certified scuba instructor and blogger.